Our family and divorce lawyers practice only family and divorce law. Put our award-winning team to work for you! Whether you’re filing or you’ve been served papers, our team can help you every step of the way. When children are involved, the stakes are high.We can help you achieve an outcome that favors your situation. Our experienced team has seen many different scenarios through the years. Let us help you in your time of need. Let us help you through any family law issues you might be facing with our 35+ years of experience. If you are considering divorce or have already been served, need to enforce or modify support payments, or need to take out a protective order, our experienced attorneys and staff are here to guide you through the process ahead and ensure that your legal rights are asserted to the fullest extent available under Texas Law. The Adams Law Firm is a Katy, Texas based divorce firm that represents families and individuals in a wide range of family law and divorce matters. Since 1977 our firm has guided clients through countless difficult and complex family law cases. We are AV Preeminent® Rated by Martindale-Hubbell® for exceptional ethical conduct and legal ability. Our attorneys are more than capable of handling any divorce or family law issue you may be facing. “Anna has always kept me very well informed. She is on top of her game and is really good at thinking on the spot, and [she] showed that in trial. I think she came very well prepared, and it really showed. … I know I pay a lot but I think this shows there is a reason for it. I ...”	- Andrew M.
Deciding to file for divorce - or being served with divorce papers - can stir up a range of emotions. Some feel freed, others feel crushed, and many, regardless of the emotions, simply do not know where to turn. At Adams Law Firm, we are proud to have represented countless clients during the past 35 years who we assisted in obtaining favorable resolutions to their divorce proceedings. Our team of Katy divorce attorneys stands ready to provide you with the outstanding representation you deserve. Whether you are filing for divorce or have been handed divorce papers, you can count on our team to assist you. The most common ground for divorce is the claim of insupportability, which means that a court can grant a divorce if evidence is proven that the two spouses cannot reach agreeable terms in their relationship. In these cases, the couple may have attempted to salvage the marriage through counseling or marital support but simply could not succeed together. Our firm assists clients who can agree on everything and want to remain outside the court system (collaborative divorce), those who can agree on almost everything and simply need the input of mediators or the court system to resolve the last few items of contention (agreed divorce), and those who cannot agree on much of anything and need to take their case before a judge or jury to have the case resolved (contested divorce). We are here to guide you in your determination of the best path forward for you and your family and can help you accomplish your goals using one or more of the methods described above. Do not hesitate to contact our team today to speak with a Katy divorce attorney and ensure that you receive the support you need during your divorce proceedings. Divorce can be an incredibly complex process with a myriad of applicable laws, deadlines, and paperwork – all of which can carry a large margin for error. Even simple clerical mistakes when filing divorce papers can have massive consequences, resulting in setbacks or even causing you to lose out on a portion of your entitled marital property. At Adams Law Firm, we are intimately familiar with the process of divorce and can help you navigate through its complexities with accuracy and utmost care. If you are considering divorce, or if you have just been served with divorce papers, it is vital you take certain steps to prepare for the road to come. Your first priority should be to get organized and begin collecting the necessary documentation. This includes financial documents, property deeds, bank statements, birth certificates of any children you and your spouse may share, business documents, tax returns, and any prenuptial or postnuptial agreements you may have. Our attorneys can help you with this process and provide you with a full list of required documents. In addition, it is important you watch what you say and do during this time, especially online. Electronic communications such as text messages, social media posts, and emails can be submitted as evidence during divorce and impact the outcome of divorce proceedings. For example, badmouthing your spouse on Facebook or posting photos with a new significant other during divorce can prompt a judge to favor your spouse and see you in an unsavory light, potentially impacting issues such as spousal support, asset distribution, or even child custody. As a general rule of thumb, do not post or send anything that you would not want a judge to see. While a divorce decree carries the enforceability of law, it is by no means set in stone forever. Post-divorce modifications may be issued if a considerable change in circumstances should present itself for either spouse. Issues that may be renegotiated include spousal support, child custody arrangements, child support, and visitation. Most parents’ main concern during divorce is the impact their separation will have on their children’s lives. As family dynamics shift and parents change residences, it is imperative to keep in mind the best interests of your children during this tumultuous time. 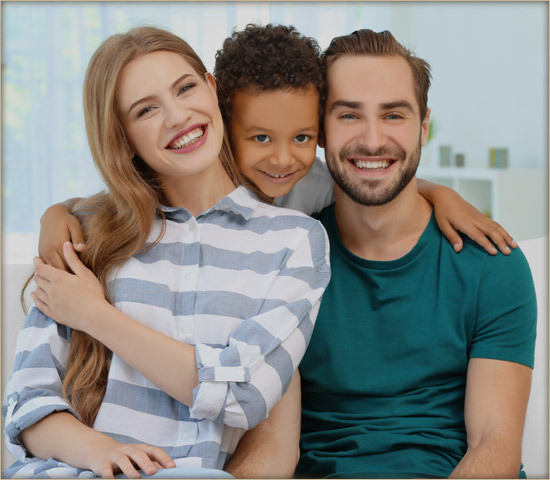 At Adams Law Firm, our Katy custody lawyers understand fully the importance of your children’s safety and happiness and are prepared to do everything within our power to ensure a smooth transition for them during your divorce. From determining child custody to negotiating visitation arrangements, we are prepared to make every effort to secure an outcome that ensures their wellbeing and protects your right to maintain an active presence in their lives. legal needs. Our pricing is fair, reasonable, efficient.